John P White is the Chief Technical Officer and Co-Founder of UnlimitedViz, the makers of tyGraph. He holds a Master’s degree in Engineering from the University of Guelph and has been a Microsoft SharePoint MVP since 2010. He has spent far too long (since 1990) in the Information Technology space, and possesses a skill set that spans both architecture and development. He has been instrumental in delivering projects and applications that have been recognized with both local and global awards from Microsoft and IBM. John has accumulated a plethora of legacy technologies like Novell, Lotus Notes and Java. This experience has proven invaluable when architecting systems alongside legacy applications. Over the past decade, he has been focused on the Microsoft SharePoint and Business Intelligence platforms and is a frequent speaker on these topics. He blogs as actively as possible at http://whitepages.unlimitedviz.com. John lives in the country just outside of Guelph, Canada. He is the father of 3 boys, is an avid scuba diver, gardener, and photographer, both under and above the water (but mostly under). Samples of his work can be found at http://www.flickr.com/wpages. I have been in the industry for over 25 years now, moving from Novell to Lotus Notes, Java content management systems, SharePoint, and now Power BI. When UnlimitedViz was founded in 2006, we made a decision to focus on the Business Intelligence workload of SharePoint, which in our opinion would be high value, and slow to commoditize. As BI moved away from SharePoint as a platform, and toward Power BI, we moved along with it, but always keeping a foot firmly in the Office 365 camp. Over the past 5 years, we have transitioned from a primarily services based company to an ISV, offering advanced analytics for Office 365. Our tyGraph product leverages Power BI as a platform, and provides a comprehensive analytics solution for all of Office 365. I think what matters most to me about BI is being able to use data to communicate trends that would otherwise go unnoticed. Crucial to that is user interface and visual design. While I don’t build visuals per se, it is important to use the right visual for any given situation. Understanding the difference between reporting and analytics is also very important, and is a concept that I try to bring home whenever I teach BI, which is another key area for me – the democratization of BI. Jen Underwood is someone that I have paid attention to for a long time. She has broad industry experience and knowledge, and while I focus primarily on Microsoft, Jen helps keep me aware of the overall ecosystem. From a technical standpoint, Chris Webb has a blog that I follow fairly closely – he has gotten me out of more than a few jams. Finally, I have to include Adam Saxton (Guy in a Cube) here as well. His short, simple to follow videos are a model for good instructional communication. 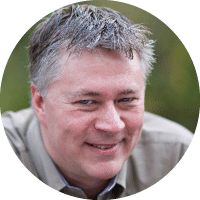 Outside of BI, I have always tried to keep up with Andrew Connell and Chris Johnson (Microsoft Cloud Show) for the developer’s aspect of SharePoint, and Todd Klindt has always provided good leadership in the SharePoint administration space. I also follow Paul Thurrott and Mary Jo Foley on the Windows Weekly podcast to help stay up to date on Microsoft and industry trends. I travel approximately 10 times per year for speaking engagements, and usually do approximately 5 each year locally, so I’m pretty active from an offline standpoint. I also co hot a podcast, BI Focal with Jason Himmelstein, where we discuss BI news and related topics on a weekly basis (https://bifocal.show). Mostly these focus on the ffice 365 community, but I’m certainly not restricted to them. If there’s an important SharePoint event happening, chances are you’ll find me there. It may sound obvious, but I think that the influence of machine learning will be felt more and more over the next 12 months. As BI helps us get our data in order, and to get glimpses into insights, ML will help us take those data models and insights and turn them into reusable assets. We’re certainly seeing investment in this sector, so it should bear significant fruit. I’m a talker first, so I’d have to say podcasts and speaking opportunities primarily. I have been known to pitch in on white papers, and I’m certainly familiar with product development. Email Is my preferred communication mechanism.